When working out whether a property makes a viable investment or not, it’s important to understand the running costs on an annual basis. It is interesting to consider that the costs of running a property valued at £50K will be similar to the costs of running a property valued at £250K and that there will be additional costs if a property is void/empty. As a landlord, you take on the financial risk of the tenant not paying the rent. This means that you are legally contracted to pay the mortgage every month, whether the tenant pays the rent or not, and even if the property is void/empty. This will be calculated on the postcode of your property, the type of property, and the value of the property. It should include buildings insurance for freehold houses, and public liability insurance to protect you from third party liability. Most landlord insurance companies allow you to pay over 10 months, spreading the cost. These will depend on the standard of your property, how the tenant lives in it, and the age of the property. It could range from a blocked toilet to a boiler repair. Landlords are advised to keep a “rainy day” fund for pay for repairs and maintenance. Over time, properties can develop issues such as a leaking roof or needing a new central heating system. They will also typically need re-decorating every 5 to 8 years, depending on the age of the property and how it is lived in. Carpets will typically need to replaced after 10 to 12 years as they may become stained beyond being able to be cleaned. Again, landlords should keep back a fund to regularly up-date their rental properties and give them a facelift. This will ensure that the property remains desirable to tenants and can also achieve the maximum rental income. These are typically payable as a percentage of the rent collected and will depend on the level of service you choose. This can range from “tenant find only” right up to “fully managed”. At Northwood, we have an extra level of service, which is our industry leading Guaranteed Rent service, which guarantees the rent whether the tenant pays or not, or whether the property is void or the tenant is in rental arrears. It gives landlords complete peace of mind that the rent will be paid every month. Your property will need various certificates in order to be legally compliant. A Gas Safety certificate is needed on an annual basis and typically costs from £50 to £100.00. Your property will also need an EPC and there may be additional requirements such as landlord licensing fees, depending on your location and local authority’s regulations. Experienced landlords typically factor in one month’s void per annum as a safety margin. You should also factor in legal costs in getting a delinquent tenant removed. This can cost up to £1500.00 in legal fees, depending on the nature of the case and the tenancy agreement. You will typically be required to pay an annual service charge and also ground rent. These costs can significantly bite into rental income from a leasehold flat, so worth crunching the numbers. All the above costs will still be payable except for the lettings agent fees. Your insurance premium may increase slightly if the property is empty for a sustained period. The landlord will also become liable for standing utilities. Depending on your local authority’s rules, you may also become liable for the council tax, although some LA’s reduce this on vacant properties. For those landlords with busy careers, managing the minutiae of a rental property might not be possible and if margins are tight, a void could wipe out any profit. This is why our Guaranteed Rent service is so popular and used by over 13,000 landlords across the U.K. It may be that you are not quite clear on which service is right for you and your circumstances. In that case, your friendly local Northwood office would be happy to sit down over a cuppa and explain all the options for you. We have over 80 branches conveniently situated across England, Scotland, and Wales and our team are on hand to advise and support you. 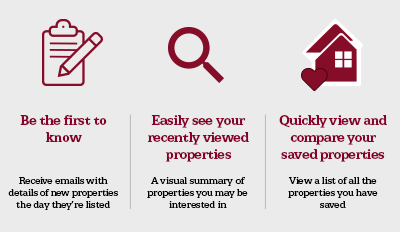 If you are looking for a property suitable for investment, you could purchase via our Investors List, which has a selection of tenanted properties for sale, some with Guaranteed Rent already in place. This is a very low-risk way to start out, as you have income guaranteed from day one of ownership and Northwood will already have an established relationship with both the property and the tenants. If you have any questions for us, please do use the on-line chat facility on our website.